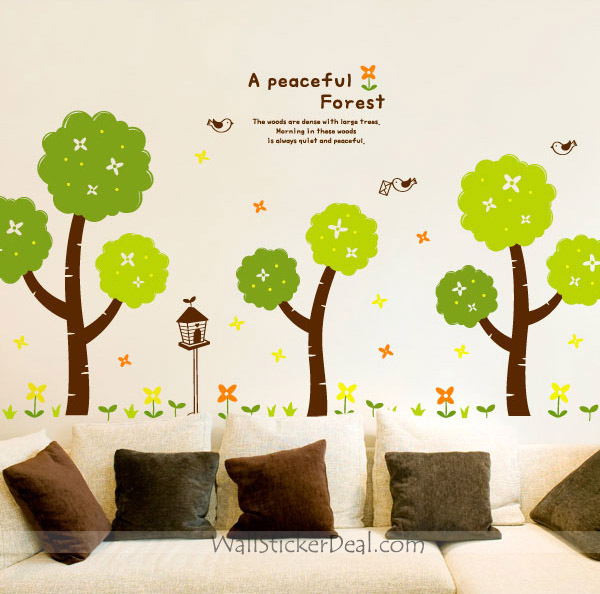 A Peaceful Forest درخت with Flowers and Birds دیوار Decals. . Wallpaper and background images in the ہوم Decorating club tagged: home decorating decor.